Houston-area girls and women have access to our four publications, free of charge. Our publications are written, reviewed, and updated by medical professionals to ensure accurate and up-to-date information on the health topics covered. Organizations may request these free publications to distribute at health fairs, clinics, and schools, use to supplement their educational programs, or use to educate clients. If you would like printed copies of the publications below, please fill out our online form here. 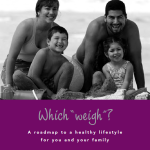 Our “Which Weigh?” publication gives families a user-friendly reference guide and the tools they need to increase their healthy living. Making healthy, lasting changes is what this book is all about. This publication includes medical information related to obesity, its physical and psychological effects, as well as a lifestyle change section. It was generously funded by Halliburton. 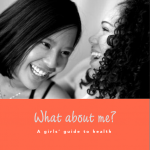 The Women’s Fund’s comprehensive health education guidebook for young women ages 12 –16. This publication is generously funded by The Bauer Foundation. Provides the most current health information to motivate women to seek healthier lifestyles and make more informed decisions about their health care. This publication focuses on overall health issues and strategies. 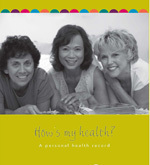 A practical tool used to take charge of one’s health history, effectively collect, and maintain one’s own medical records.